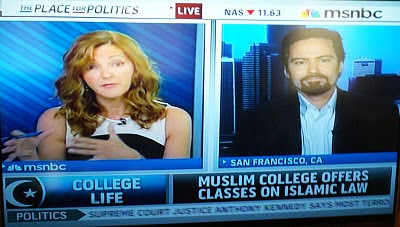 On July 11, 2009, in an article titled “An Islamic University in America,” I wrote on this blog that an “American Muslim group has concluded plans to establish an Islamic university in America by 2010 at the earliest or by 2011 at the latest.” Well, the university chose the earlier date and opened its doors to students on August 24, 2010, according to Inside Higher Ed, a leading source of U.S. higher education news. The Berkeley, California-based Zaytuna College admitted 15 freshmen (that’s what Americans call first-year university students, irrespective of their gender) to study for bachelor’s degrees in one of its two majors: Arabic language and Islamic law and theology. However, although Zaytuna College has officially taken off, it is yet to be accredited. According to the Western Association of Schools and Colleges, which accredits degree-awarding institutions in western United States, it could take between four and eight years for the school to be accredited. Inside Higher Ed says the college will also seek the imprimatur of notable Islamic institutions all over the world. The college is coming on board, unfortunately, in a season of mounting Islamophobia in America. For instance, just last week, in New York, a Bangladeshi-American Muslim taxi driver named Ahmed Sharif was nearly slaughtered in cold blood in his own taxi by a drunken American passenger identified as Michael Enright who first said “assalam alaikum” to Sharif before asking if he was a Muslim. The taxi driver escaped with deep stabs on his neck and face. Again on August 26 another drunken man identified as Omar Rivera went to a New York mosque, urinated on the prayer rugs, and called the congregants there “terrorists”—with a bottle of beer in his hand. 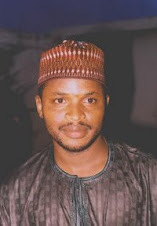 He was later arrested by security agents. The latest Islamophobic incident happened in Murfreesboro, a suburb of Nashville, the capital city of the state of Tennessee. There, the equipment for the construction of a proposed Islamic center and mosque was burned down by unknown arsonists on August 29. While some members of the Muslim community there were inspecting the damage to the equipment a day after, they heard “nine [gun]shots, in two volleys.” No one was hurt. In the states of Kentucky and South Carolina, Muslim communities that had been given approval to build mosques by their respective city councils have had their approvals withdrawn. And the beat goes on. America’s legendary tolerance and accommodation seem to have taken momentary flights in the wake of the engineered controversy over the “ground zero mosque.” Of course, the vast majority of ordinary Americans are still accommodating and tolerant, and many are as horrified as the rest of us by the rise of vicious anti-Muslim bigotry in parts of the country. All said, it seems safe to say for now that Muslim-Americans have more to fear from the general American population than the general American population has to fear from Muslim Americans. It isn’t clear how an Islamic university will survive in this climate. 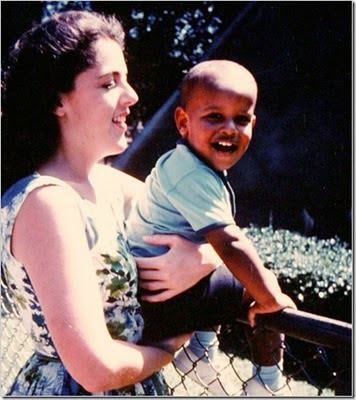 Some of my readers have called my attention to some things that my friend, Idang Alibi, wrote about the circumstances of President Obama’s birth—and about the socio-economic status of his mother’s family. In trying to make the case for why abortion should be prohibited, Alibi stated that had Obama (whom he said was born outside wedlock) been aborted, America and the world would have been deprived of a great statesman—or something along those lines. He also said Obama’s mother was from an “upper-class” family. With due respect to Mr. Alibi, these are utterly inaccurate claims. Obama was not born outside wedlock. 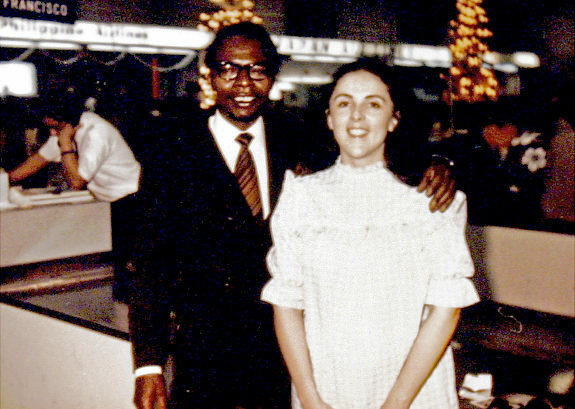 His parents were married according to the laws of the state of Hawaii which, unlike many U.S. states at the time, had no laws against interracial marriage. In any case, whites were a minority in Hawaii at the time; they still are as I write this piece. And, contrary to Alibi’s insinuation, Obama’s maternal grandparents weren’t “embarrassed” when it emerged that their daughter was pregnant for a black African. On the contrary, it was Obama’s paternal grandparents who protested that their son was “contaminating” the Obama bloodline by marrying a white woman. Although Obama was probably conceived outside wedlock, he was not born outside it. 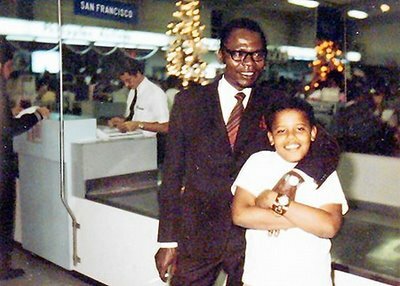 Obama’s parents were married on February 2, 1961 and Obama was born on August 4, 1961 (NOT 1963, as Alibi claims). They divorced in 1964 after two years of marriage. About Obama’s mother being “upper-class” (which simply means occupying the highest position in the social hierarchy), Alibi is patently mistaken again. Obama’s maternal grandfather, Stanley Armour Dunham, was a private in the U.S. Army (and that’s the lowest rank in the army) who later became a furniture salesman. 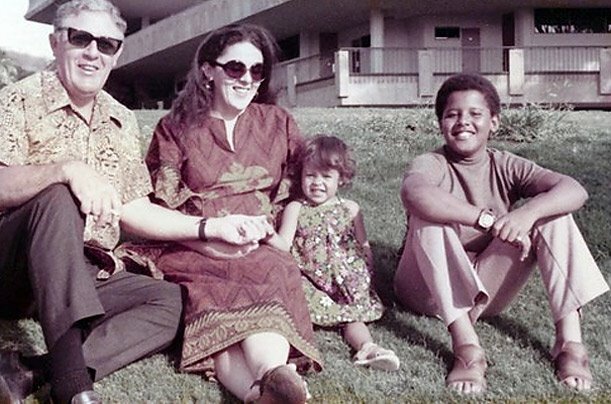 Obama’s maternal grandmother, Madelyn Dunham, worked in restaurants and eventually became vice president of a local Hawaiian bank in 1970—when Obama was nine years old. Both grandparents had no university degrees and sought financial aid from the government to pay for Obama’s tuition fees at the prestigious Punahou School in Honolulu, Hawaii. Now, that’s NOT the picture of an “upper-class” family unless, of course, Alibi has a different meaning of the phrase from what the rest of the English-speaking world understands it to mean! 5. Mourning the Death of "America's Imam"